You can buy Bitcoin (and other digital Cryptocurrencies as Litecoin, Dash and Ethereum) at exchanges like Coinbase and SpectroCoin. SpectroCoin is a all-in-one secure platform that makes it easy to buy, sell, and store cryptocurrency like Bitcoin (BTC), Ethereum (ETH), Litecoin(LTC) and more. Founded in early 2013 it offers a Bitcoin exchange and wallet in over 150 countries worldwide. There are more than 20 methods for depositing and withdrawing funds including Neteller, Skrill, credit cards and bank transfers (SEPA). The Company also offers a debit card which can be used as an ordinary payment card to withdraw your Cryptocurrencies at any ATMs worldwide or to purchase goods in over 20 million shops globally, where VISA or MasteCard payments are accepted. How to buy other Cryptocurrencies? 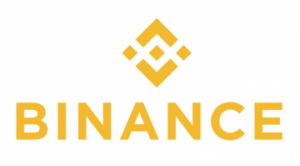 Binance is a global cryptocurrency exchange that provides a platform for trading more than 100 cryptocurrencies. The company has its servers and headquarters in Japan and Malta. It was founded in September 2017 and is now considered as the biggest cryptocurrency exchange in the world in terms of trading volume and number of customer. This shows that their product and reliability is spot on. To use the exchange, you will first have to create an account. The process behind this is fairly simple and straight-forward and you don’t have to verify your account for level 1 which is a 2BTC daily withdrawal limit. You can fund your account from a multitude of cryptocurrencies. There is no way to fund your account with USD or Euro (yet). So you have to buy Bitcoin (or any other Cryptocurrency) at an exchange like Spectrocoin before you can go ahead and start trading at Binance.